This quilt kit contains all the fabric (10.3 yards) needed to complete the top and includes the complete pattern. The pattern includes cover sheets, instructions, foundation papers, applique stitch & peel pieces and yardage information. It does not include the fabric for backing, binding or the batting. If you want the backing and/or binding, select kit options where you can add these fabrics. 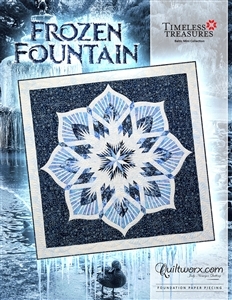 The Frozen Fountain foundation papers were designed by Judy and Bradley Niemeyer. The size of the diamond and background pieces were created with a standardized size and are interchangeable with a number of other units we have designed. 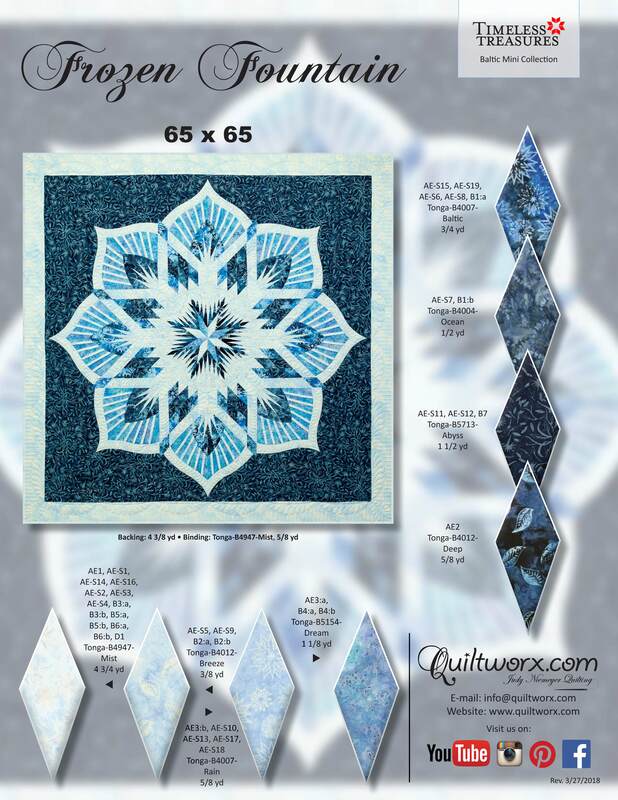 As a result, they have been loaded into Quiltster and published as mixer patterns as well meaning the center and background can be purchased independently and mixed with other units using layouts such as Fractured Star, the Queen Mixer Series, and the Cattails Mixer series. This pattern incorporates all of Quiltworx’s latest techniques as well. It is a breeze to put together, easy to modify, and can also be colored in Quiltster before you create the final project!